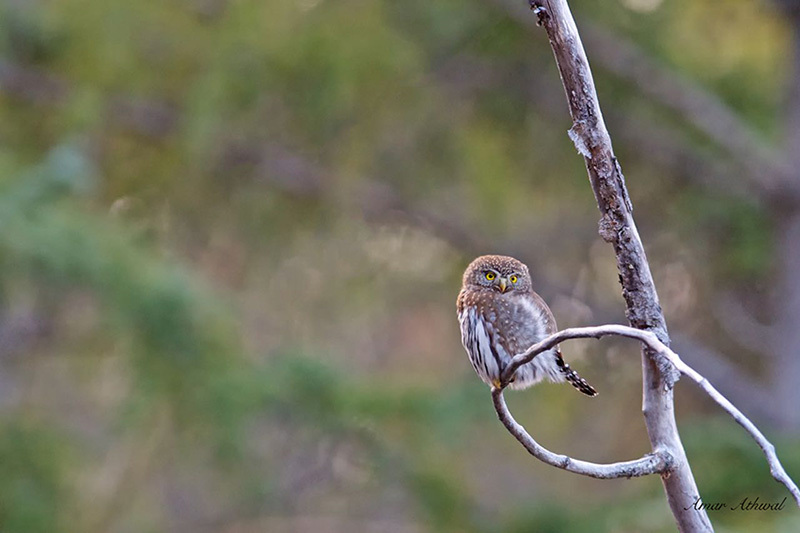 Northern Pygmy-Owls are not much larger then a House Sparrow, but are one of the few owls that can be spotted during the day. Due to their size and colouring, you have to be well aware of your surrounding to locate one. This one was perched on a branch of a dead aspen tree, hung out there before coming down to the ground to locate food. Coming up empty taloned, it perched on a different tree before a gust of wind caused it to loose its balance, it then flew away.